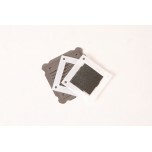 Create your own renewable energy adventures with these do it yourself educational kits. 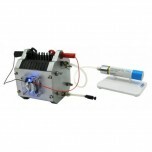 These build your own fuel cell models allow you to discover and learn at your own comfortable pace from beginner to advanced levels. 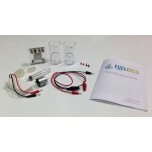 The dismantable and hands-on features of these educational kits are perfect for up close examination of how fuel cells work. 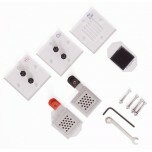 These kits are great for individual or classroom demonstrations. 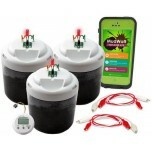 You can also learn how to utilize energy produced by microbes with the KeegoTech Mudwatt Microbial Fuel Cell Kits. 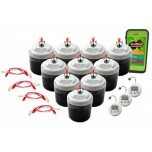 All of the KeegoTech education kits, along with a few of the Horizon kits we supply are STEM (Science, Technology, Engineering, Math) focused, follow Next Generation Science Standards (NGSS), and come with full cirriculum for classroom experiments. 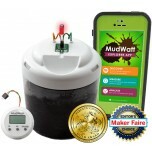 Perfect for running dirt-power experiments! Want to see what item in your fridge gives you th.. Perfect for Classrooms and Dirt-Power Parties! (Serves 10 - 30 students) Want to engage your .. 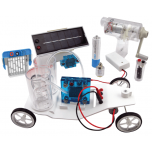 The Horizon Electric Mobility Science Kit lets students experiment with tomorrow’s sustainable tr.. 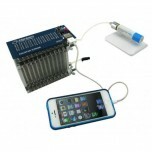 The Tutorial HyRunner Kit by H-TEC helps you explore the innovative world of hydrogen powered veh.. 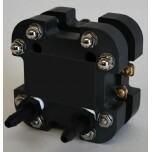 This is an expansion kit that adds PEM cells to your Flex-Stak. ..